I read this article and found it very interesting, thought it might be something for you. The article is called The Threads That Bind and is located at https://www.totallydublin.ie/more/fashion/the-threads-that-bind/. With the fashion industry’s structural fabric ripping at the seams, has its currency of visuals— ever-perpetuated by Instagram consumers — tipped the sector into over-saturation? Social media feeds have done little to quell consumers’ appetites for fresh, well-formulated imagery, the latter’s status edging closer to gold-dust amidst a sea of formulaic postings. Such uniformity is further instilled by the hierarchical politics of Instagram’s algorithm, a long-protested feature which awards the platform’s highest-paying clients prime visibility. How can young design talents hope to cut through this conveyer-belt content? Such grievances should be of little fear to Dublin’s latest crop of garment-design graduates. Rather than stagnate under Internet-age issues, their imagination blossoms; each arresting creation a powerful reminder of clothing’s inherent ties to storytelling. A desire to conjure up visual narratives, paired with a love of high-calibre craftsmanship and intricate techniques, sees the capital’s fashion and costume-design graduates (hailing from NCAD and IADT respectively) closer in mindset than ever before. Between fashion’s abiding embrace of theatricality and costume’s near-continual reference to sartorial history, the sectors never find themselves at too far a distance from each other. But while IADT costumiers have created vivid, visual portals into decades past (a colourful escape route from unstable global climes) the stories embedded in the work of NCAD designers fuse the deeply personal with the thoughtfully political. While a sizeable portion of fashion’s Class of 2018 focused on slowing down consumer psyches, with the key theme of sustainability-centred collections being ‘clothing for life’, an even larger segment sees graduates incorporate strong personal memories in their design concepts. Thus, subject matters are selected and sewn up, not solely because these general topics may prove popular with viewer but because of how deeply they resonate with each designer. For some, their collection themes arose in a lightbulb moment. For others, such as Siranee Caulfield-Sriklad (who quite literally weaves her two cultures together in An Imagined Community: 66353, melding Irish and Thai fabrics) and Colton McGuirk (who largely shaped Boys Who Don’t Wear Pink via personal drag and queer experience) their concepts had been subliminally evolving for some time. These masks are alluded to in the finished collection, a gorgeously diaphanous affair. Made of sheer silk organza, they let the wearer’s features shine through and, by consequence, symbolise the empowering progressions the queer-rights movement has made since. 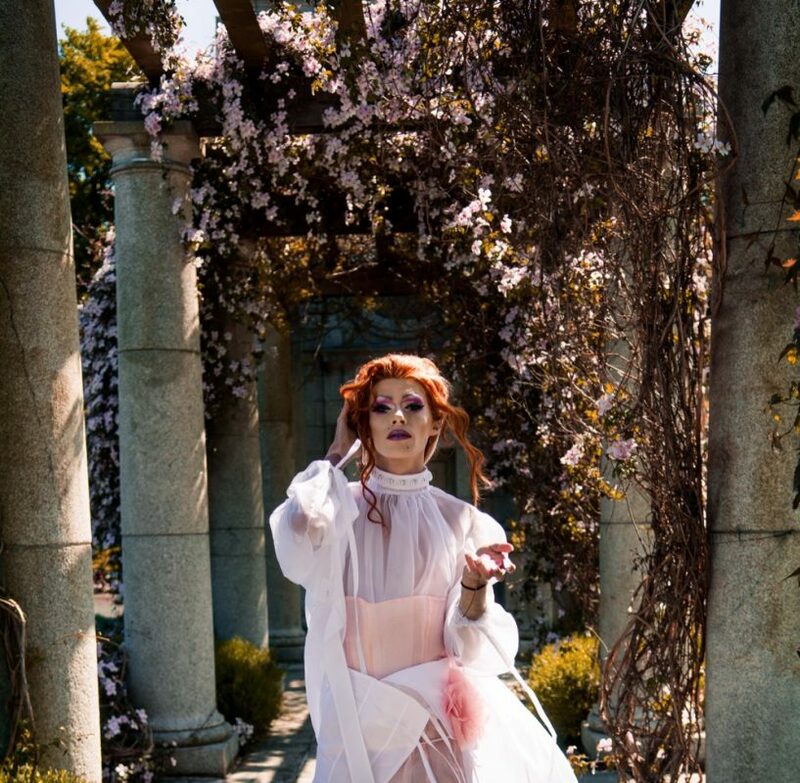 McGuirk’s passionate comments that, much like fashion, “drag is just enhancements of the body through a non binary, creative platform” are informed by his own involvement in Ireland’s burgeoning drag scene — a scene he proudly celebrates in modeling for his collection’s lookbook. Akin to McGuirk, Amy Dineen’s playfully-textured and tactile “N.I.N.A” collection entwines past and present subject matters to striking effect. An eye-opening journey to Ellis Island over the course of her J1 experience exposed Dineen to 19th century America’s anti-Irish sentiment. While these revelations contrasted the warm welcome she had received upon first visiting the States – “Anyone I spoke with seemed to be fond of Irish people or claimed to be of Irish descent” — knowing that effusive receptions were not always a given only increased Dineen’s interest in the topic of emigration. Delicate imprints of “No Irish need apply” notices dance across lilac-hued sleeves, with further influence garnered from “the bulky bundles carried by the voyagers who embarked on the treacherous journey across the sea.” Moreover, exploring 19th-century bonnets worn by immigrant women passengers led Dineen to infuse her work with traditional hand gathering — a technique juxtaposed with the transformative innovations of her “multiple-looks-in-one” garments. The tapestry of talent emerging from IADT’s Costume Design graduates parallels the NCAD fashion alumni in their penchant for textural details and thoughtfully-conceived stories. The history of fashion forms a pivotal role in both course curricula, but while NCAD’s historical dress archive proves an invaluable research tool, the syllabus broadly covered in IADT is staggering. It stretches, as recent graduate Robyn Coombes points out, from “antiquity right through the Middle Ages and up to the present day, so that many of us came to college with a love of one era or style but left with a fascination for so many others.” As a result, rather than dive into an epoch they knew like the back of their hand, students were spurred on to navigate new eras for their final-project research, such as Gary Deegan and Susan Devitt whose respective majors, Mame and The Wild Party, spotlight the Roaring Twenties. Lisa Ellen Schon’s resplendent costumes for The Cherry Orchard (a Chekhov play set in turn-of-the-century Russia) were similarly produced, while giving Schon the perfect canvas to showcase the degree’s emphasis on intricate sewing techniques. Coombes seconds this key aspect of the course, which was especially significant considering her creative focus on embroidery and beading. “Each era we studied brought its own innovations, whether it be Regency drawn-thread work or Victorian corset-making. For me, there was often a lot of very labour-intensive slow needlecraft and old-fashioned methods that I think give the finished garment that added sense of history and vitality.” Her chosen topic, staged in Renaissance era France, challenges the traditional fairytale of Cinderella by placing Danielle de Barbarac (a “feisty feminist and true inspiration for the famous Grimms story”) in its central role. As for the sectors these graduates are entering into? There is no question that both courses, by necessity, put students through their paces — never sugarcoating each industry’s time constraints, nor its high-pressured atmosphere. The skilled creators that subsequently emerge are more than capable of surmounting hardships, with a vocational love of the craft propelling them forward. 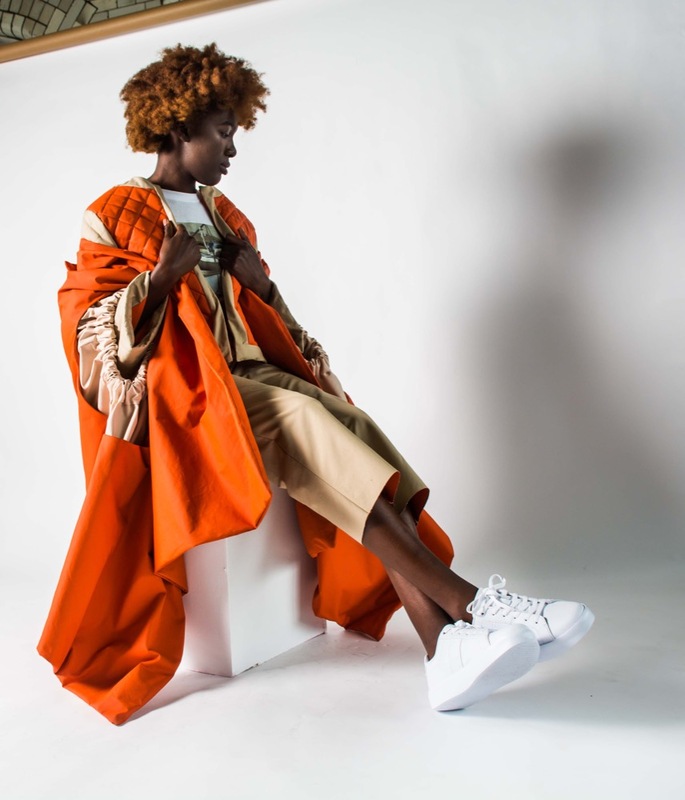 Well-versed in independent research and inter-disciplinary collaboration, these design trailblazers have a secured a welcome future for garment construction: one that places style and substance on equal podiums.